By Andrea Diamond. Oct 12, 2016. 9:00 AM. The bookshelves at my parents' house are filled to the brim. If you were to stop by, you would see fat books, thin books, paperbacks, and hard covers, every genre from historical fiction to poetry present and accounted for. They are lovely to look at and enjoyable to read, but I’ll let you in on a little secret…you won’t find any of our best books sitting in plain sight. If you really want a treat, direct your attention to the small cupboard in the corner. Behind it’s unassuming doors, you will find the books of our childhood. Paperbacks with torn pages and worn covers, but with the stories inside just as lively as they ever were. On behalf of the magic cupboard, here are five underrated children’s books that look forward to a visit. Because who could doesn’t love the story of an adventurous mouse being raised by a human family in New York? With a loveable cast of quirky characters including Snowbell the cat, Margalo the bird, and the Little Family themselves, this book is as heartwarming as it is silly. Originally written by E.B White in 1945, it has been the inspiration of a film and several other written adaptations. 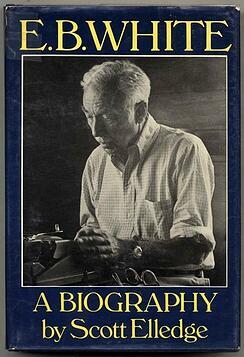 Having become perhaps less well-known over time, this book is worth revisiting with generations to come. Unlike Stuart Little, Chrysanthemum the mouse—star of the book written by Kevin Henkes and taking her name as its title—was born to mouse parents in a mouse community. Despite being the same species as all of her loved ones, Chrysanthemum still faces plenty of challenges in her life. The other mice at school are constantly making fun of her long name, to the point where Chrysanthemum begins to hate it herself. Luckily, a supportive family and music teacher help her find her confidence once again and rock her flowery name. Written and illustrated by Patricia Polacco and published in 1990, Babushka’s Doll is the story of a sneaky Babushka teaching her granddaughter a valuable life lesson about patience with the help of a magical doll. Filled with beautiful illustrations and an original plot, it is a great book to share with young readers…especially if those young readers have a propensity to misbehave. At one time or another, we’ve all experienced the moment in childhood when our status as a “big kid” was called into question. The accuser (usually a neighbor kid or a sibling) may have pointed out the training wheels still affixed to our bicycle, the nightlight in our bedroom, or perhaps the teddy bear sitting loyally at our side. Terrified that we would loose our playground status and be deemed a “baby” we would swiftly discard any incriminating evidence of childhood and proclaim our allegiance to all things grown-up…even if we didn’t really want to. I can still remember the day I assured a suspicious classmate I no longer read “books with pictures” but had rather moved on to “chapter books”. 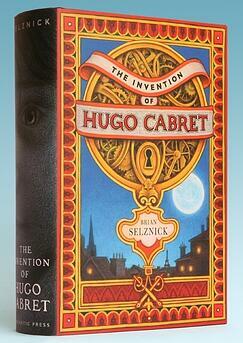 Luckily, with The Invention of Hugo Cabret by Brian Selznick, we no longer have to choose between the two. As a Caldecott winner, this book may not necessarily be "underrated," but, because it's unlike anything else we've read lately, we still believe it deserves to be more widely appreciated and read. The whimsical 526-page book includes beautiful drawings that often replace words for pages at a time, creating a one of a kind reading experience as we follow a young inventor on his adventures in the Paris train station. Should you finish these suggestions and wish for more, remember there are magic cupboards everywhere just waiting to be discovered. So on the next rainy afternoon with nothing to do, build a blanket fort, grab your flashlight, and get reading.